Backed by expert and experienced professionals, we are manufacturing, supplying, wholesaling and trading a superb quality assortment of Electrical Panel to our customers. 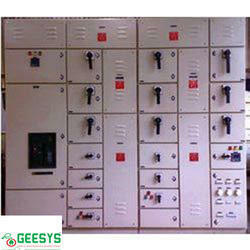 Offered Electrical Panel has sturdy and robust construction. Provides a full range of motor control technologies and is used throughout a wide range of industries, to enhance and improve machine automation. 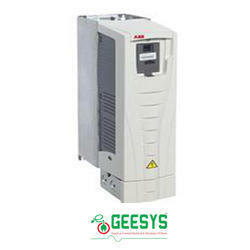 We are prime suppliers of ABB/Delta Drives which are highly acclaimed for its durability, simple configuration and easy installation features. 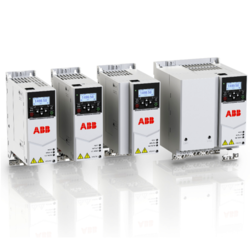 The new ABB, standard general purpose drive, is designed for controlling wide range of variable torque and constant torque applications such as pumps, fans, lifts, conveyors, machine tool, food processor and mixers as well as for process control in various types of industries. Searching for Power Control Panel? So, your hunt finishes at Pragati Engineers one of the prominent Power Control Panel manufacturers and suppliers in India. We focus on the quality of our product and design it in a wide assortment to meet the different demand of the industry. It is manufactured by using premium grade raw components and other necessary apparatus, which ensure its high-performance and long life. Additionally, these panels deeply inspect by our quality coordinators by following all necessary standards set by the company at the time of establishment. These are really helpful to reduce the energy waste. 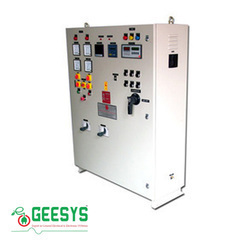 Being reliable Power Control Panels manufacturers and suppliers, we offer it in different cities of India including Noida, Delhi, Faridabad, Ghaziabad, Gurgaon, Panipat etc. at a reasonable market price. If you are interesting in buying any of our goods, you can send enquiries; we are just a step away from you. 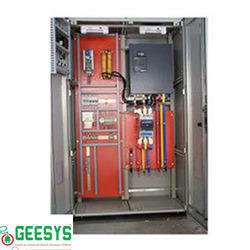 We are prominent Power Distribution Panel manufacturers and suppliers in Delhi, India. Electrical panels, we offer come in different technical specifications as per the need of different industry. These are highly demanded in domestic market due to their superb finishing, perfect polishing, robust structure, low maintenance, and long life. In addition to this, our panels are corrosion resistance, which makes them capable of handling the heavy load without creating any trouble. These are manufactured under the supervision of our quality auditors, who give assurance that every product made by using premium grade material and high-technology. Moreover, they also tested on various parameters before offering in the market. 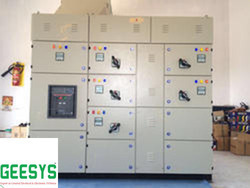 Being leading Power Distribution Panels manufacturers and suppliers, we offer our complete range in Delhi, Noida, Faridabad, Ghaziabad, Gurgaon, Panipat, Bhiwadi and in all the major cities of India. Panels offered by us are available at rock bottom price. You can send enquiries to place your order now. 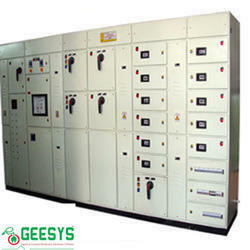 GEESYS counted amidst the reckoned names as Power Control Center Panel manufacturers and suppliers in India. Backed by the technical team, we are capable of designing and developing a variety of panels for different industrial applications. We incorporate premium grade raw material and brand-new technology while manufacturing our complete range. Likewise, we also check our entire range on different quality elements to confirm its hassle-free performance, lastingness, less upkeep and low power consumption. These are specially designed for controlling the power supply in several industries and therefore, their demand increase in the market on a continuous basis. As leading PCC Panels manufacturers and suppliers, we provide it in small or large quantity and commit to delivering the same on time without any delay. Moreover, we offered it at a reasonable market price. You can send enquiries, to place your order now. Half of the energy produced around the world is used to operate pumps. Compared to diesel generator pumps, the ABB solar pump drive is environmentally friendly, with a long lifetime and low maintenance costs. It is independent of the grid and produces no pollution or noise. Typical applications are irrigation, community water supply, fish farming and agriculture. The drive has many solar-specific and pumps control functions, such as built-in maximum power point tracking and dry run detection, as well as sensorless flow calculation. 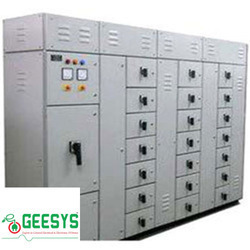 GEESYS make its reputation in the market as one of the leading LT Distribution Panel manufacturers and suppliers in Delhi. These types of panels usually receive power from the transformers and transfer the same into subsidiary panels. These are highly demanded in different industries, where the demand for electricity in a constant manner is a must. We have a team of highly-trained and qualified engineers and supervisors, who have the capability to design and developed it in a way, so, that it can easily cater the demand of the customer. Our offered products are extensively known for its reliability, high-productivity, hassle-free performance and long operating life. Our products pass various quality tests, so, that the trust of our clients on our products will never get hampered. Being top-notch LT Distribution Panels manufacturers and suppliers, we deliver your consignment at your doorstep on-time. You can send enquiries to place your order now. 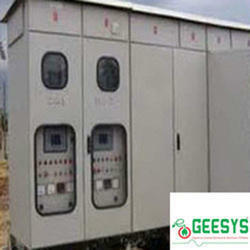 GEESYS pioneer itself as one of the well-known Load Management Panel manufacturers and suppliers. Our reputation in the market is the result of our team hard work and dedication toward the work. We utilize only premium quality material while manufacturing a variety of electrical panels in different custom as well as standard specifications. 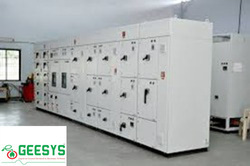 GEESYS has furnished range of manufactured goods has the capability to meet the demand of the different industry. These are widely used in various industries to manage the overall load and mostly used in the power distribution process. Due to its modern design and cutting-edge technology its installation is very easy and cost-effective. Being reputed Load Management Panels manufacturers and suppliers, we Pragati Engineers, offer our complete range at an affordable market price. We also provide after sale services including installation or operating assistance to our valued clients. To place your order now, send enquiries. With the support of our technical experts, we have successfully carved a niche for ourselves as one of the notable Main LT Panel manufacturers and suppliers in India. Day by day, their demand rise in the market because of its innovative design, smooth performance, rigid structure and long operational life. We give assurance that you will never get disappoint from the quality of our product because each and every product is made under the guidance of our quality auditor, so, there is no chance of inferior goods. These are laboratory tested and personally inspected by the quality auditors before handing over to the customer. 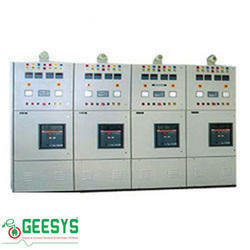 Being noteworthy Main LT Control Panels manufacturers and suppliers, we never give you a chance of complaining. We also provide fast and safe delivery of the consignment at your doorstep. So, what are you waiting for? Place your order now. We are always there to help you in the best possible way. you are planning to install an Electrical panel for your industry and confused from where to buy, so you are at a right place. It’s because Pragati Engineers one of the reliable Low Tension Panel manufacturers and suppliers, we are there to fulfill all your demands in a best possible way. We use only graded raw material, which is brought by us from the trusted vendors and manufactured by using cutting-edge technology to meet the current demand of the market. In addition to this, our complete range also tested on the different level to ensure its reliability, smooth performance, durability, low maintenance and long life before offering in the market. As leading LT Panels manufacturers and suppliers, we make sure that your consignments deliver at your doorstep without any delay. We offer our complete range of manufactured goods at an economical cost in all the principal cities of India including Noida, Delhi, Faridabad, Ghaziabad, Gurgaon, Panipat etc. 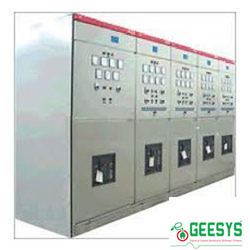 GEESYS has More than 2 decades experience makes our reputation in the market as prominent ACB Distribution Panel manufacturers and suppliers. We are engaged in offering the best quality panel, which is widely used to distribute the electricity in various industries. This is highly acclaimed by the clients due to its fine finishing, high durability, excellent efficiency and long life. These are corrosion resistance and have the capability to handle the heavy load, therefore, these are really helpful in preventing short circuits or fire accidents at the time of voltage fluctuations in industries. Offered product is accessible in diverse specifications as per the requirement of every individual. The demand for such panels rapidly increases in various industries. Being trusted ACB Distribution Panels manufacturers and suppliers, we offer our complete range after testing it in the laboratory by our quality auditor. These are not so expensive in comparison with any other similar product, so, one can easily purchase it at rock bottom price. So, what are you waiting for Send enquiries now. 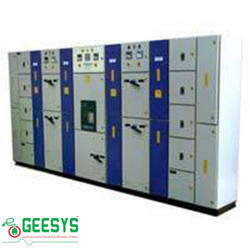 GEESYS since 2011, considered as distinguished Capacitor Panel manufacturers and suppliers in India. We offer high-quality and long-lasting panels to all our valued buyers. We offer our complete range in different specifications according to the need of every individual. These are highly durable and reliable in nature and known for their smooth functioning. We manufactured our complete product range at our inbuilt manufacturing facility which is equipped with modern technology and graded raw material. We have a team of experienced labor, qualified engineers, supervisors and quality checkers, who give 100% guaranteed the product to our client. Being a prominent Capacitor Control Panels manufacturers and suppliers, we make sure that the desired order is delivered at your doorstep within a promised period of time. Additionally, we offer our complete range at rock bottom price. For any other information regarding any of our products, you can send enquiries. 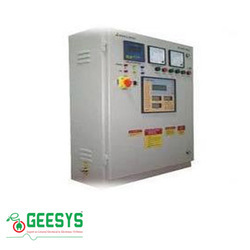 GEESYS has VFD or Variable Frequency Drive Panel is highly demanded in the various industries in motor control applications. 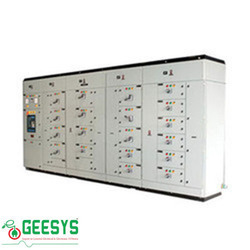 In order to cater the demand of the market, we are engaged in offering a wide range of panels and now become one of the reliable VFD panel manufacturers and suppliers in India. We made this by using high-quality material and ultra-modern technology, which ensure its long working life. Our offered product is known for its long-running life, low maintenance needs, low power consumption, corrosion resistant and strong structure. We follow all necessary industry guidelines to meet the ever-changing demands of the market in an effective manner. VFD Control Panels are highly appreciated by our clients. Being well-known VFD Panels manufacturers and suppliers, we offer it in different technical or non-technical specifications. Moreover, we also provide on-time delivery of your consignment. Send enquiries, to place your order now. 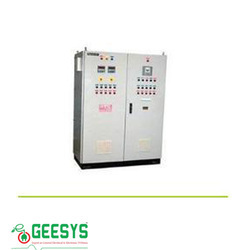 GEESYS is chennai based company since its incorporation considered as top-notch Soft Starter Panel manufacturers and suppliers in India. These are specially designed to reduce the stress occur during the functioning of the motor and, therefore, these are highly demanded in several industries. These are manufactured at our inbuilt infrastructure facility under the supervision of our qualified quality manager. These all are based on ultra-modern technology, hence, these are known for its reliability, durability, smooth performance, and longevity. Another major reason behind their popularity is its very little or almost zero maintenance need. As reckoned Soft Starter Panels manufacturers and supplier, we offer our complete manufactured good range at rock bottom price. We are also engaged in providing installation as well as operating assistance to our valued clients. To place your order now, send enquiries. 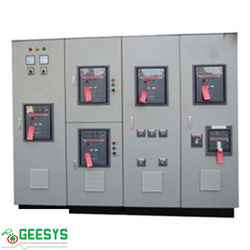 GEESYS has set up its position in the market as one of the distinct and dynamic Outdoor Power Panel manufacturers and suppliers based in Faridabad. Due to its advanced technology, their demand rapidly increases in the market. Offered panel is mostly used in commercial sectors as main power circuit and power distribution. These are designed and developed under the guidance of our quality inspector, who gives 100% assurance that quality is up-to-date and have the capability to handle the heavy pressure of different industries. Moreover, these are also passed various quality parameters to ensure its stability, and high productivity. As noted Outdoor Power Panels manufacturers and suppliers, we commit to fulfill all your needs in the best possible way. Furthermore, we also commit to transporting your order at your doorway within a fixed time period. To get any of our Outdoor Power Panels in Noida, Delhi, Faridabad, Ghaziabad, Gurgaon, Panipat and in any other city, send enquiries. We feel pleasure to present ourselves as the leading manufacturer and supplier of a wide array of PMCC Panel. The provided panel is well-manufactured with the optimum quality components and ultra modern technology under the supervision of our adroit professionals. The offered panel is extensively used to distribute the power through the panels. Owing to its attributes like trouble free performance and high durability, the offered panel is highly appreciated by our esteemed patrons. We are offering to our prestigious clients a well distinguished range of Electrical Control Panel. 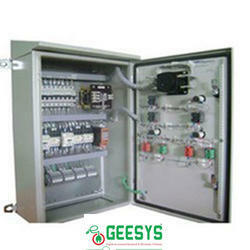 GEESYS offers wide Range of Electrical Control Panels. Our Customers can avail from us a wide range of Electrical Control Panels which are specially designed to meet the various requirements of our Customers. These panels are manufactured under strict supervision of our quality control department and offered in competitive prices. We have expertise in design, manufacture, supply, Installation, testing and commissioning of electrical installations in all types of buildings ranging from factory buildings, IT industrial parks, Multi Specialty Hospitals, Educational Institutions. 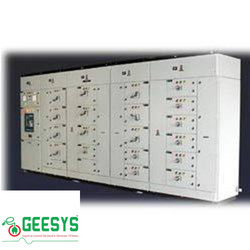 We bring forth years of experience in this domain, involved in offering Power Factor Correction Panel. Leveraging over the skills of our qualified team of professionals, we are engaged in providing APSC Panel. Automatic phase sequence corrector is used for three phase loads. Three Phase loads work on certain (120 Degree) phase sequence, if this phase sequence changes then the load switches OFF and make you helpless. Lot of production loss, down time of equipment parts losses as well as other losses occurs. 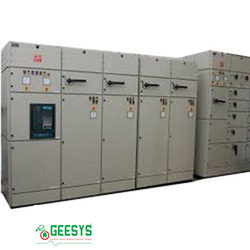 Install GEESYS Automatic phase sequence corrector and get corrected phase sequence and maintain a trouble free environment. Changeovers are used where the generators are installed between main AC and load. Moreover, these changeovers help in starting as well as stopping the generator automatically. It also helps in changing over EB or generator lines. LT Panel is an electricaldistribution board that receives power from generator or transformer and distributes the same to various electronic devices and distribution boards. ... Our LT panels are designed to work with low electricityconsumption that makes them cost effective. The meter is connected to a distribution panel, also known as the breaker panel. This apparatus has a main breaker, which can cut power to the entire house, and as many circuit breakers as there are circuits in the house. MCC Electrical Control Panel as per applications designed by us or as per customer design for a variety of power distribution requirement of the factories. Owing to their excellent performance and minimum maintenance, our products are widely demanded in various industries like chemical, cement plant, pharmaceuticals, textiles, construction, paper and others. EB metering panels are to be installed at EB Power Supply input point at the Resident or Site. Load has to be taken after the EB meter from this panel. Main EB Inlet compartment is connected to bus-bar and through Cut out, EB Metres and corresponding MCB are constructed. 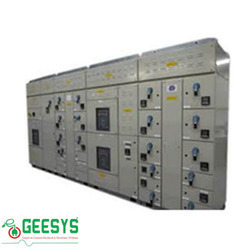 GEESYS Technologies are well known manufacturer & supplier of EB PANELS in chennai more specifically EB Metering Panels and EB Service Board Panels with operational base in chennai from India. 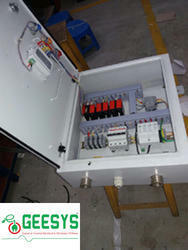 Our quality service made us a lead manufacturer of EB metering panel in Chennai. Our presence is strong in this segment that our brand is shaping into a position to occupy the major chunk of the market in chennai. We have recognition for our prompt quality centric service. Our manufacturing units are enriched with an experienced force committed to deliver with dedication added to best of productivity norms. All of our panels are assembled using top quality base materials carefully chosen and procured from top quality vendors in the field to assure International Standard. We follow stringent quality testing norms before it get moved out of factory. Compact and comes in standard and customizable sizes. 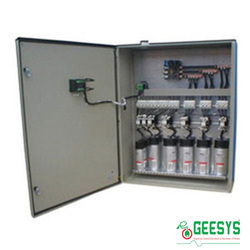 GEESYS highly appreciated by the clients for its quality product, after sale services and reasonable price of the products, we are also known among them as reliable DG Synchronization Panel manufacturers and suppliers based in Faridabad. We have a support of the technical team, who make us capable of achieving this position in the market. 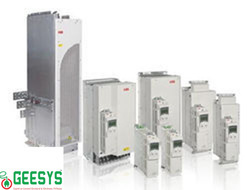 Our DG Synchronization Panels are widely used along with two or more DG sets so, that they work as a single unit in delivering power to different subsidiary circuits throughout the industry. These are highly demanded in various commercial as well as industrial sectors because of its rigid construction, trouble-free operations, and long life. Furthermore, being trustworthy DG Synchronization Panels manufacturers and suppliers in India, we offer a variety of panels in Delhi, Gurgaon, Noida, Faridabad, Panipat and all the major cities of India. Our complete range is accessible with specifications at an affordable market price. 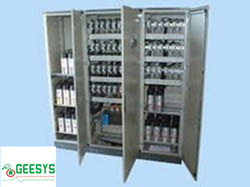 Since 2011, GEESYS has been known as one of the well-reputed AMF Control Panel manufacturers and suppliers in India. These are specially designed to avoid the situation of a blackout. Due to its advanced technology, it automatically gives signal to a generator, so, that it starts working before power cut problem occur. In addition to this, after completing its process when the power comes back it automatically shut down the generator. These are made at our inbuilt infrastructure facility by using quality raw components and advanced technology, which ensure its smooth performance, high-productivity, robust construction and long working life. Our quality auditors also check it on various aspects at every stage of manufacturing before launching in the market. Being notable AMF Panels manufacturers and suppliers, we give 100% surety to deliver a high-quality product at your doorstep within a stipulated time period. To acquire more information about this or any other manufactured goods from our list, you can send enquiries. We are offering Solar ACDB. In order to keep pace with the never ending demands of customers, we are involved into offering wide range of Phase Sequence Correction Panel.